You are here: Home / 1. Warehouse Safety / Looking for a Rack Safety Products Dealer? Looking for a Rack Safety Products Dealer? Adrian’s Safety Solutions partners with a large network of material handling dealers across the country. 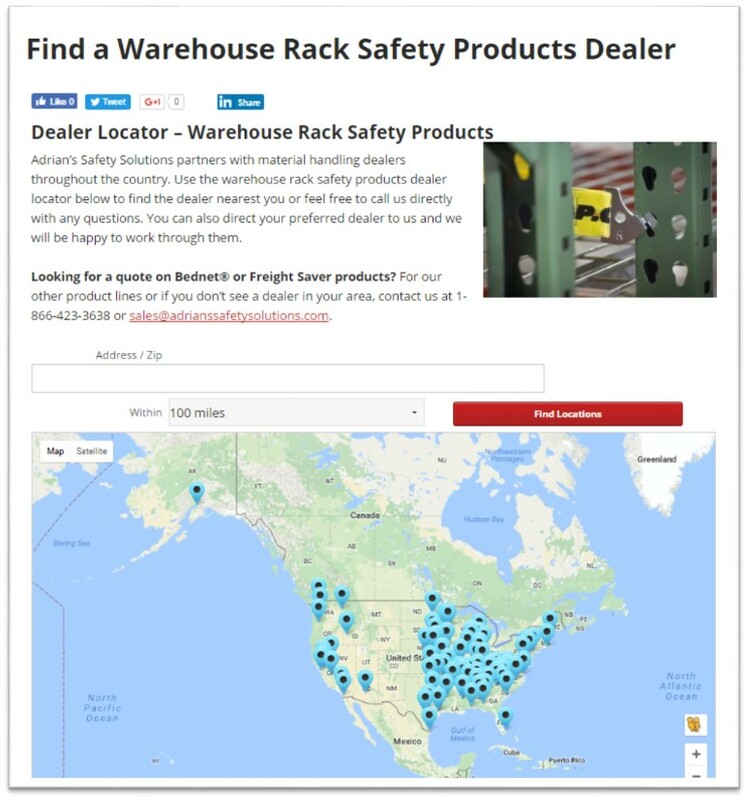 We’re pleased to announce our new dealer locator tool, to help those looking for a rack safety products dealer in their area. If you have a local dealer you prefer to work with that doesn’t carry Adrian’s pallet rack safety products, send them our way and we’ll get them quickly setup in our system. Visit the Dealer Locator map. Are you a dealer? If you would like to be added as an Adrian’s Safety Solutions dealer or if you have updates to your dealer listing, email sales@adrianssafetysolutions.com.